The wait for the Razer Nabu is almost over as its manufacturer announced that the highly anticipated smartband will arrive on December 2nd. The device will be available for $100, although the first 5,000 Razer insiders will be able to grab one for only $80. 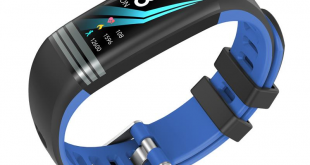 The smartwatch/fitness tracker hybrid was announced almost one year ago at the Consumer Electronic Show 2013. Razer managed to impress people from the get-go with this wearable device and won two awards at the show: “Best of CES” and “People’s Choice.” But that was merely an early look at the Razer Nabu, so one can only imagine just how excited smartband enthusiasts are to finally get their hands on the device. As for what you can do with it, the wearable offers all sorts of useful features to its wearer. They include getting notifications for calls, texts, emails, and other alerts straight to your wrist in a discreet way thanks to its vibration mode. Naturally, you’ll have to pair the Razer Nabu with a smartphone via Bluetooth for this to work. The device is compatible with the iPhone 5 and up and all phones running on Android 4.3 and above. In addition to getting smartphone alerts, the smartband also offers fitness tracking features, social networking features, and features for multiplayer gaming. The band-to-band functionality is particularly interesting as it lets you know when you meet other Razer Nabu owners. The device is built from hypo-allergenic materials, features water resistance and has a battery that can last for up to seven days on a full charge. You can get the Razer Nabu in four colors including black, green, white, and orange. Razer says that the device will initially only be available in black, with the other colors to follow at a later time. 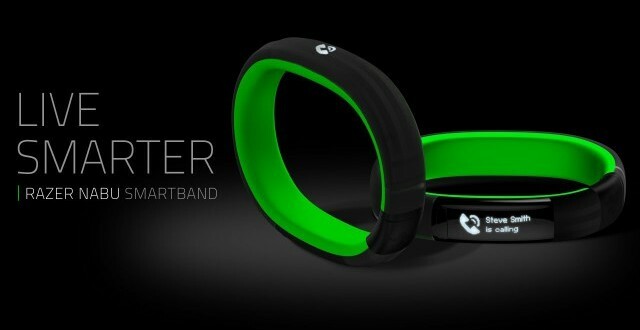 For more information on the Razer Nabu make sure you check out the official website here.